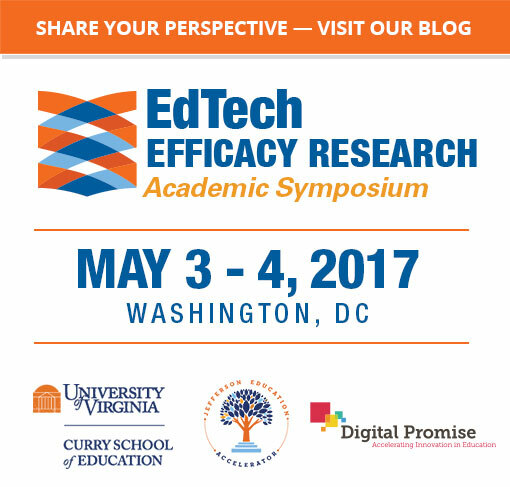 Who is funding most EdTech efficacy research? What motivates these funders? How responsive is federal funding to the needs of end users and their institutions, as opposed to the agendas of researchers, research organizations and non-profits? How much funding is typically invested and what type of research is being provided? How has private and federal funding changed over time? The topics, research designs, and format of presentation of Federally–funded research efforts tend to reflect the conventions, assumptions, and career–market incentives of university researchers. We want the aims and distribution of federal funding to better reflect the needs of practitioner educators and entrepreneurs. Our team will make recommendations to increase the comprehensibility and utility of federally–funded research to teachers, administrators, and entrepreneurs. Our initial step is to better understand what information districts find most useful in selecting and evaluating the efficacy of EdTech products. We will also examine which federal funding models have proven most effective at aligning research-based outcomes with the needs of users. The Working Group will then make recommendations for policies that could better align the outputs of research with the needs of education practitioners and decision makers. We are reaching out to educators and district decision makers to get their input. If you are involved in designing, using or purchasing EdTech products, we’d like to know what research findings or information would be most helpful. Please take a moment to share your insight via this Google Form, and please feel free to send along to others. Thanks! Craig leads implementation and evaluation education strategies, with a focus on scalable practices informed by the cognitive and data sciences. Chris co-founded Sterling in 1983. Prior to re-joining the Sterling team, Chris served as CEO of portfolio company Educate, Inc. and chairman and co-CEO of Sylvan Learning Systems, Inc. Chris is a member of the Boards of Trustees for Johns Hopkins University and Sheridan Libraries. David's work focuses on a broad array of higher education policy issues, with a particular focus on areas of academic quality and innovation. In addition, he provides leadership to the Department on financial capability for young Americans. David joined the Department as a Presidential Management Fellow in 2011. A leading expert on law and education, James has written extensively about the ways in which law structures educational opportunity. Before coming to Harvard, he was the Matheson & Morgenthau Distinguished Professor at the University of Virginia School of Law. He served as academic associate dean from 2005-09 and founded and directed the school's Program in Law and Public Service. Jenna helps to scale innovative education ideas and practices that drive positive outcomes for students. Throughout her career, Jenna has served in communications, advocacy, and research roles. John is focused on crushing the cost of tutoring so that every student can have their own personal math coach. He is a former teacher and engineer and founder of Rocketship Education, the first blended learning schools in the country. Kathy joined the Laura and John Arnold Foundation after a distinguished career in the federal government, including 27 years at the White House Office of Management and Budget (OMB), where she helped federal agencies design innovative grant-making models that allocate funding based on evidence and evaluation. Linda is a national educational technology consultant and was the founding director of the U.S. Office of Educational Technology. Most recently, she has been a member of the STEM education working group, part of President Obama’s Council of Advisors on Science and Technology. She also worked on the development of the current National Education Technology Plan. Liz leads GA’s legal and public affairs, government relations, and social impact efforts. She joined GA from the Obama Administration, where she served as Counselor to the Director of U.S. Citizenship and Immigration Services and worked on policy issues at the nexus of immigration and entrepreneurship. Before earning his Ph.D., Michael was a high school special education teacher for six years, and an elementary school teacher for three years. He has master’s degrees in educational technology and special education. Patricia transforms schools by scaling personalized learning. Pioneering teacher micro-credentials and career pathways, she champions change to improve education opportunities. Prior to becoming a teacher, Pat worked 20 years in financial software development and with non-profit organizations. Prior to Entangled Ventures, Paul was the Founder & CEO of Altius Education. Before graduating college, he created Academic Engine, a college recruitment technology company that he later sold to Hobsons in 2004. After selling the company, Paul spent 5 years as the president of Hobson’s subsidiary focused on online student recruitment technologies. Steven has led innovation and system redesign projects in the public and private sectors for 25 years. He served as Executive Director of the NYC Department of Education’s Office of Innovation under Mayor Bloomberg and advises numerous for-profit and non-profit organizations.